Organized by FYI (For Young India), Litmus presents a combination of panel discussions, performances and workshops for its audience. The overarching aim of this lit-fest is to celebrate the ‘Word’ in all its forms, with sessions on varied topics, such as graphic storytelling, censorship, feminist literature, new-age authors, etc. 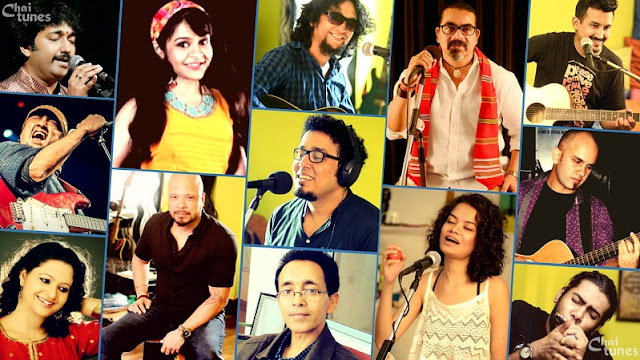 Bombay Jazz - a semi–autobiographical musical play at The Humming Tree on 18th April, 7:15 pm to 8:30 pm. Lavs - a dance performance at The Humming Tree on 19th April, 6:10 pm to 6:20 pm. Still Dirty - performance by Jeet Thayil's Music Project at The Humming Tree on 19th April, 9:45 pm onwards. 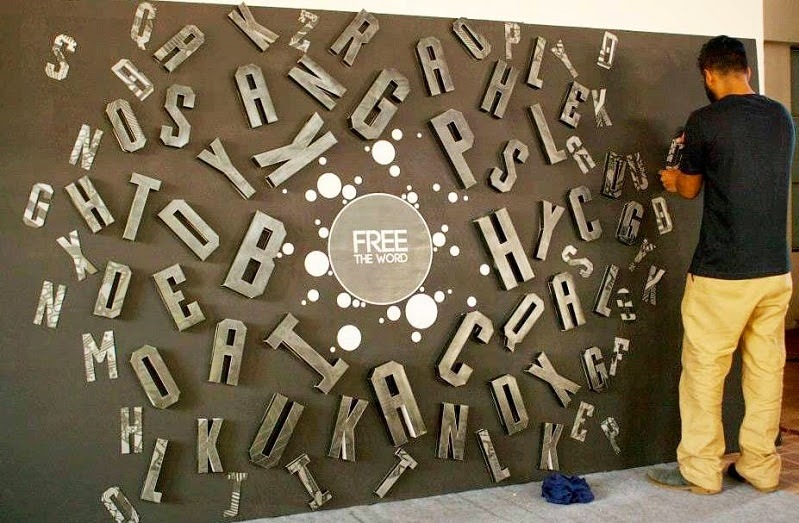 FREE THE WORD - discussion on current Indian Literature scene featuring Anand Patwardhan, Manu Joseph, Naresh Fernandes & Wendy Doniger at The Humming Tree on 19th April at 10:00am. Sense And Censorship - by Devdutt Pattanaik at The Humming Tree on 19th April, 11:05 am. Graphic Novel Workshop - By Sarnath Banerjee at Bricklane Grill on 19th April, 10:30 am. Gulabi Gang - film screening at Humming Tree (4th Floor) on 19th April, 2:00 pm. Paper Quilling Workshop - at Kitschdii on 19th April, 10:30 am and 3:30 pm. 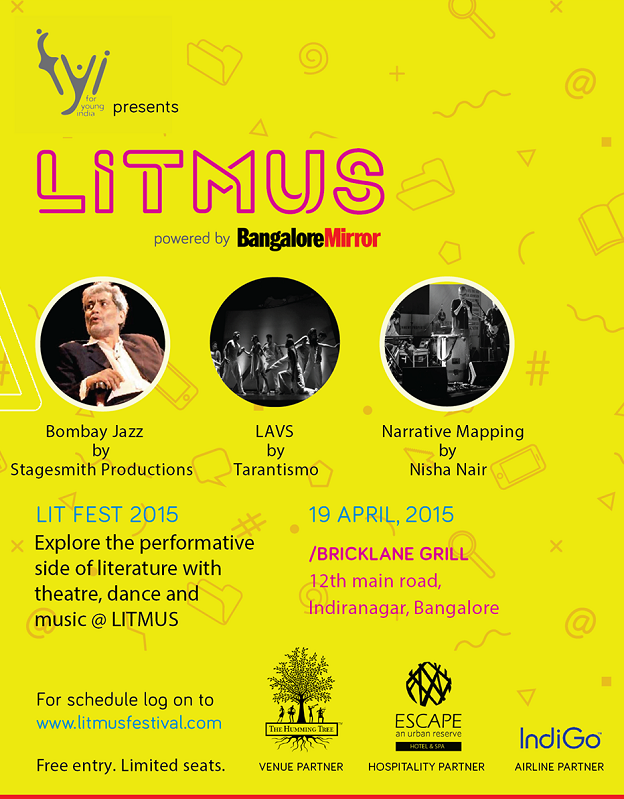 More about the Litmus Festival schedule here - www.litmusfestival.com/schedule. For more information visit www.litmusfestival.com or follow Litmus Festival on Facebook.